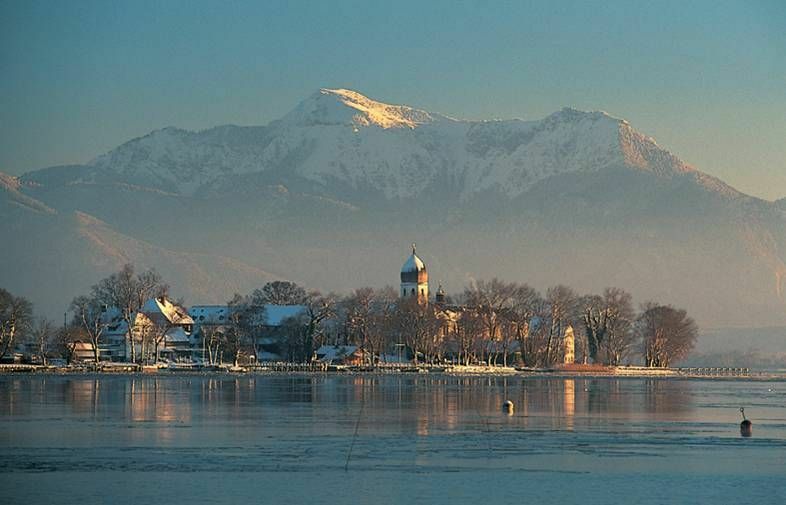 The logistics competence center was built in Prien am Chiemsee in the year 1997. With this building the developed should be stopped, that young people leave the Chiemgau area and move to economic conurbations to study and work. The logistics competence center should increase the economic importance of the region and should create new and modern jobs. Further factors have been the tourism in the region and the close proximity to the European neighbor Austria. From the beginning the aim was to combine medium-sized companies and science in the long term in order to work together in the various branches of logistics. Work, where others spend their holidays – this sentence characterizes the location of our logistics competence center. The Chiemgau region is a cultural landscape rich in tradition with rural-rustic character and is one of the most famous tourism regions in Bavaria. We are located in the middle of Europe on a strategically important intersection which offers ideal logistical framework: Rail, road and the proximity to alpine crossing freight transport.